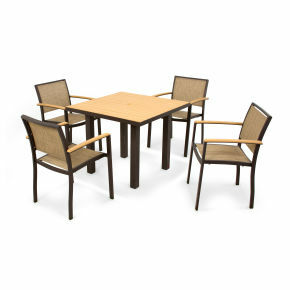 Don't let the hectic days keep you from enjoying a relaxed evening with that someone special. 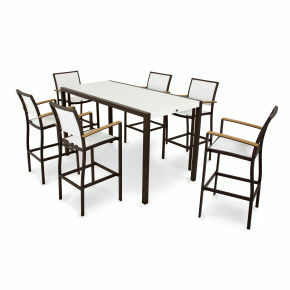 Grab a bottle of wine and make a date under the stars with the sleek and stylish POLYWOOD® Bayline™ 3-Piece Bar Set. 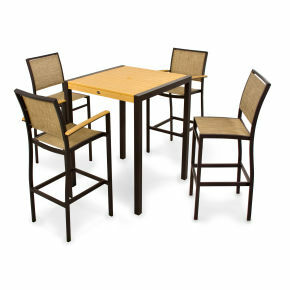 Don't let the hectic days keep you from enjoying a relaxed evening with that someone special. 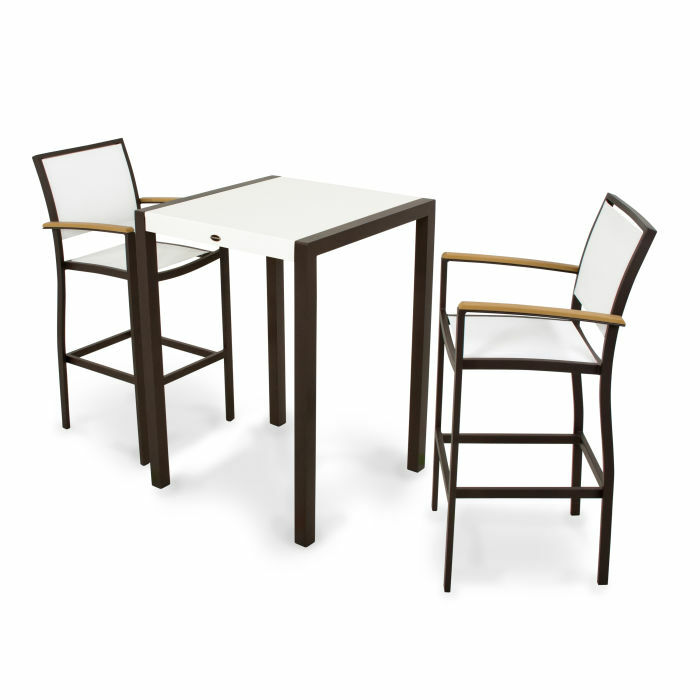 Grab a bottle of wine and make a date under the stars with the sleek and stylish POLYWOOD® Bayline™ 3-Piece Bar Set. 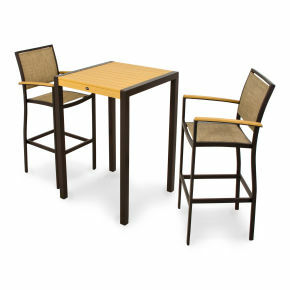 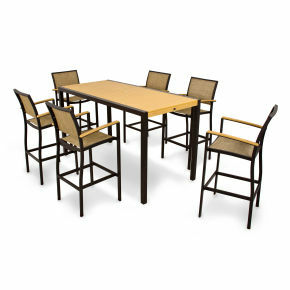 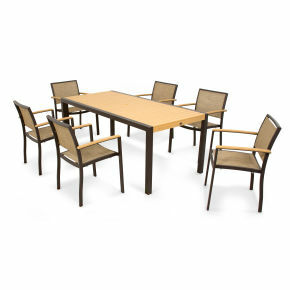 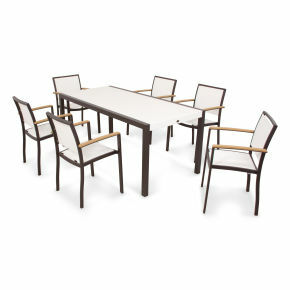 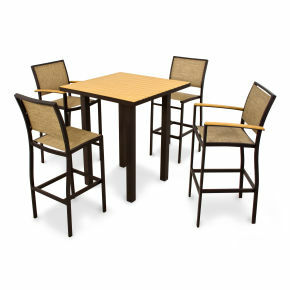 This set, which is available in several attractive, fade-resistant color combinations, includes two Bayline Bar Arm Chairs and a MOD SOLID™ 30" Bar Table. 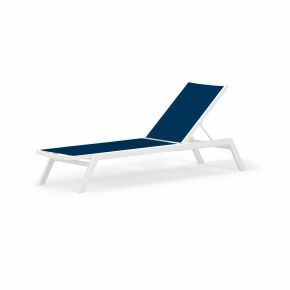 It's built to withstand nature's elements with sturdy, powder-coated aluminum frames, SOLID marine grade polymer (MGP), and high quality, fast-drying sling fabric. 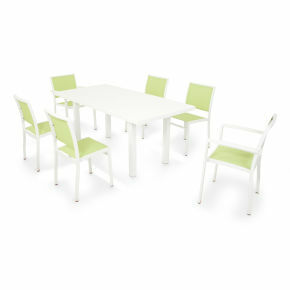 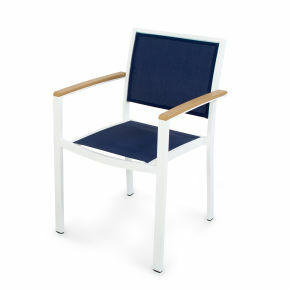 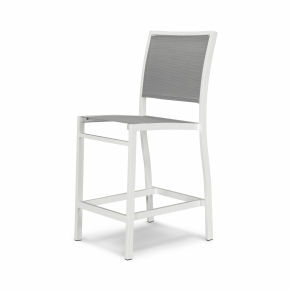 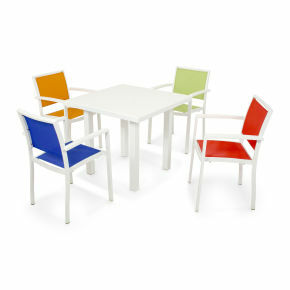 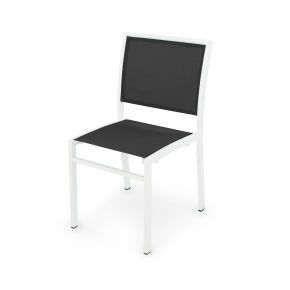 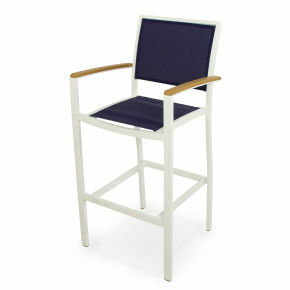 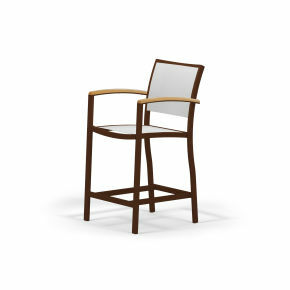 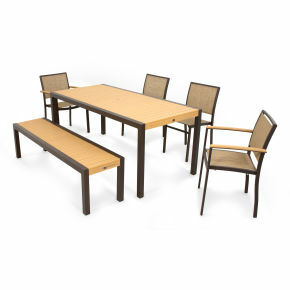 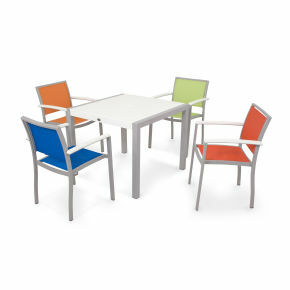 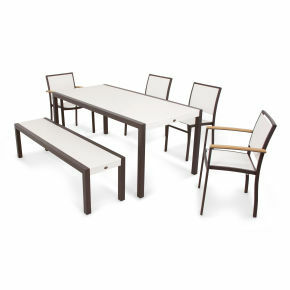 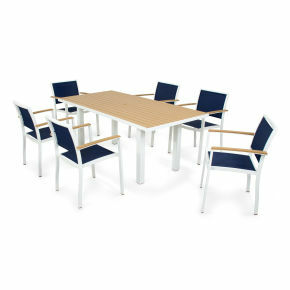 The unique arm detail on the chairs comes in SOLID (MGP) or Plastique™. 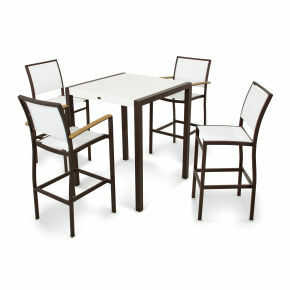 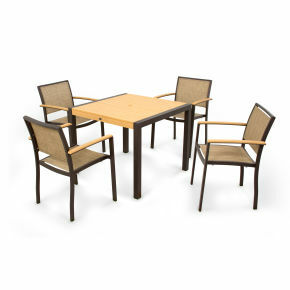 While this set has an air of sophistication, it's extremely low-maintenance. 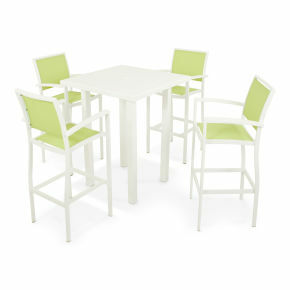 Soap and water is all you need to keep it clean since it's resistant to stains, mildew and most weather conditions.